Belfast Giants slumped to a third straight Elite League defeat after losing out 4-2 against the Nottingham Panthers at the National Ice Centre. Robert Farmer put the English hosts ahead midway through the first period. Belfast seized control in the second period and Michael Forney levelled before Mike Radja made it 2-1. However, the Panthers hit back in the third period and won the game thanks to goals from Stephan Schultz, Robert Lachowicz and Juraj Kolnik. The win takes Nottingham above the Giants, who have slipped to fifth place in the league standings. Belfast were hoping to bounce back after two defeats at the hands of Sheffield Steelers last weekend. 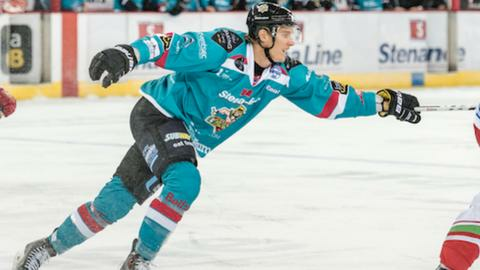 The Giants are back in action on Saturday night with a meeting against leaders Cardiff Devils in Wales.